This work was partially supported by The Royal Physiographic Society in Lund, The Swedish Foundation for International Cooperation in Research and Higher Education (STINT), The Swedish Research Council, The Royal Swedish Academy of Sciences, The Crafoord Foundation, as well as by The International Science Program, SIDA foundation and by Mälardalen University. Carolyne Ogutu is grateful to the research environment in Mathematics and Applied Mathematics at the Division of Applied Mathematics of the School of Education, Culture and Communication (UKK) at Mälardalen University for their hospitality and creating excellent conditions for research, research education and cooperation. She is also grateful for the support of the International Science Program, Uppsala University, Sweden, through collaboration with The Eastern African Universities Mathematics Programme. 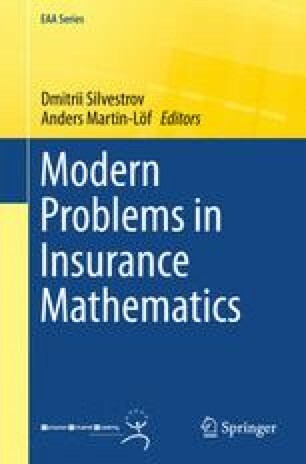 The authors would also like to thank the organisers of ICSIM and the referee whose report greatly improved the quality of the chapter.